The #GoOpen movement has impacted many conversations relating to digital resources for schools and public libraries. What is this OER phenomenon? How can a teacher/student/patron access these items and how can they be added to coursework or a collection ? 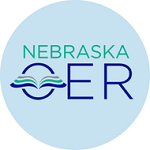 This webinar will focus on the premise of OER (Open Educational Resources) and provide an opportunity to discuss with other participants how an OER can benefit and enhance a course or collection. Users will be provided with a starting point of OER references that can be used for education.